The fun and innovative way to get the table talking. Pack of 10 cards. 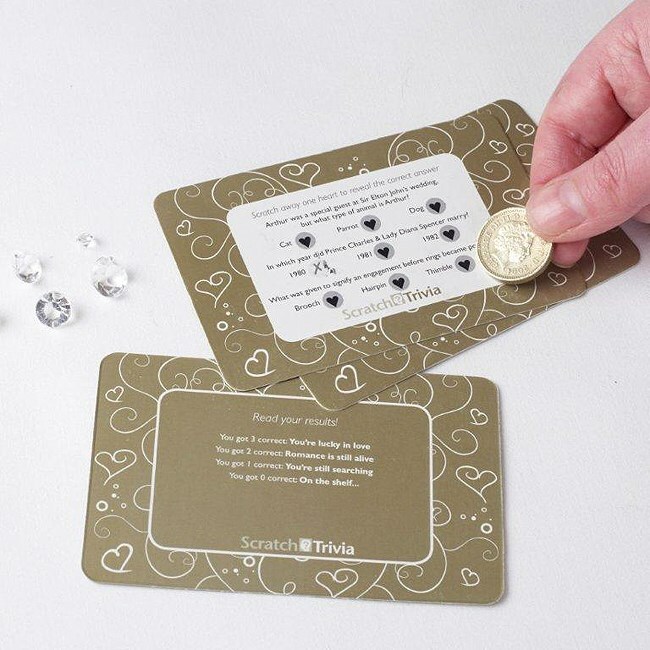 All questions are related to weddings and each card in the pack is different so everyone on the table has a chance to get in on the fun. Example Question – Which of these is considered to be good luck to see on your wedding day? Hare, Black Cat or Monk.